Located at the end of a long gravel road, this 2 bedroom, 2 bathroom, 1,500 sq ft 2008-built Cape Cod is loaded with potential. 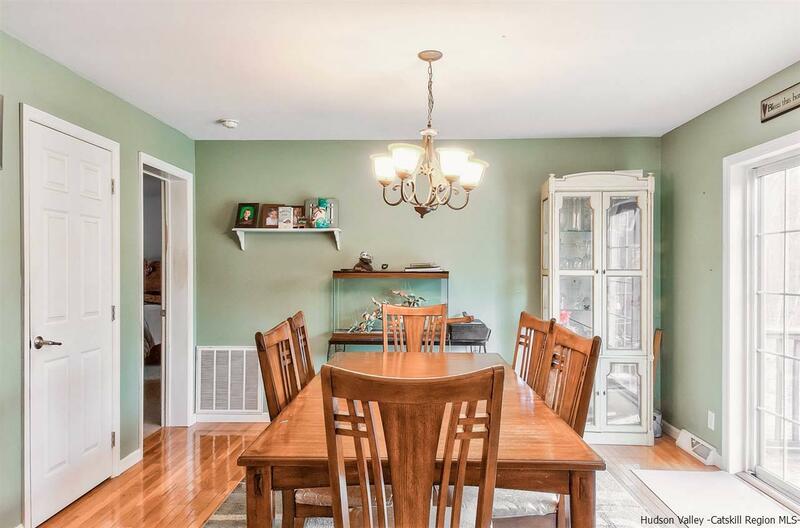 Minutes to the Shawangunk Mountains, a stones throw to the Town of Gardiner, Village of New Paltz, walking distance to the Rail Trail, and so much more. With a massive unfinished second floor perfect for a master suite or a 3rd/4th bedroom, this home is ready for a vision for expansion. Includes roughed-in plumbing for a 3rd bathroom and heat pipes to 2nd floor. Whole house duct work in for central A/C. 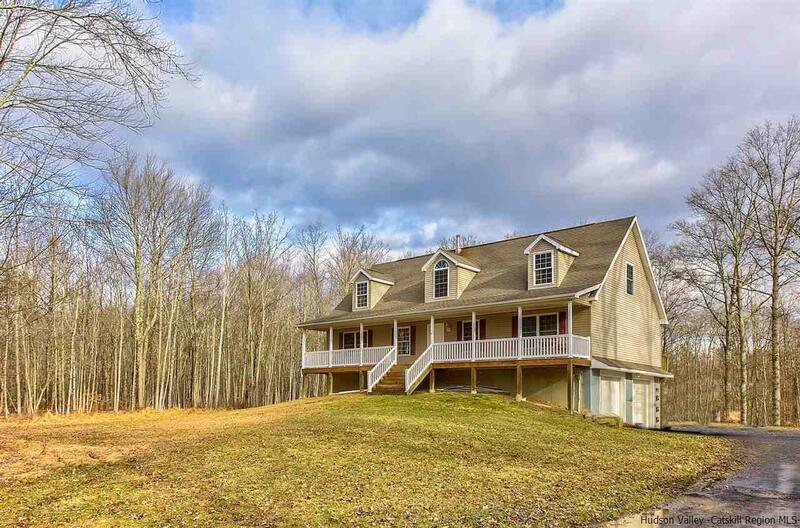 The current floor plan features an over sized covered front porch that runs the entire length of the house, which is surrounded by woods and nature. 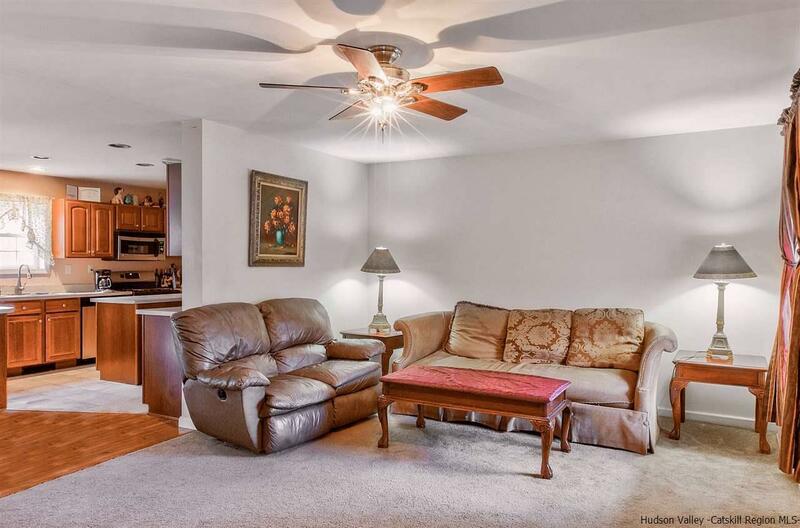 Large rear deck with plenty of room for entertaining. 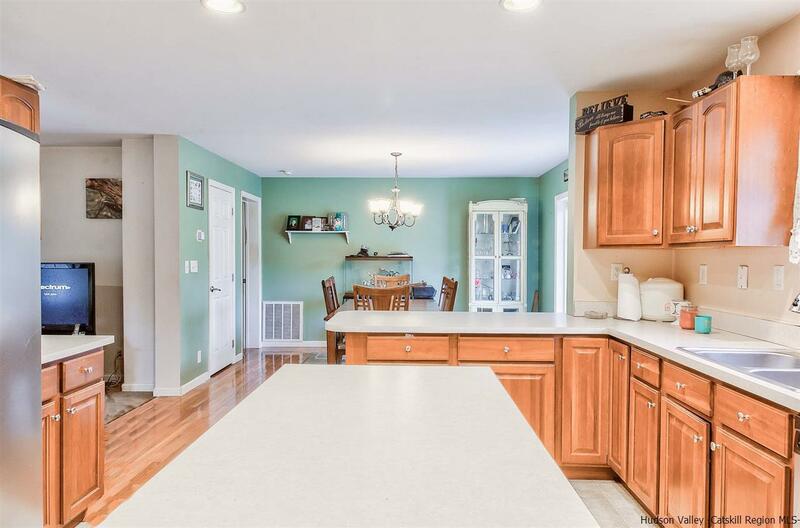 Enter the home into the open concept living room, dining room, spacious kitchen with center island, breakfast bar and plenty of cabinet space and room to prep/cook. A generous first floor master suite with ensuite full bathroom with standing shower and soaking garden tub, second bedroom, second full bathroom, laundry room and exterior access to rear deck. The basement is full and unfinished with further potential for extra space ideal for a game/media room, family room or study. The basement walks out into the two car attached garage. The grounds are level and surrounded by woods which are lush and create complete three season privacy. With some TLC and a vision, this place can be a dream! Listing # 20190225 provided courtesy of Lindsay Stevens of Stevens Realty Group.